“King George and Broadswords!” shouted Loyalist forces as they charged toward Moores Creek Bridge on February 27, 1776. Just beyond the bridge nearly a thousand North Carolina Patriots waited quietly with cannons and muskets poised to fire. Everyone who lived in the colonies was part of the war for independence. North Carolina women contributed and suffered much on both sides. At that time, the population of North Carolina was mostly rural. Men lived with their wives and families on farms. Like women everywhere in those days, all the women in the household had established roles within the family. A woman’s life centered on her family and home – cooking, washing clothes, sewing, caring for children and the sick, and tending gardens. The American Revolution caused big changes in all the colonies. For women, the war created responsibilities and demanded decisions and actions not previously considered. As tensions grew among the colonists about the British government, North Carolinians divided into three groups: Loyalists, Patriots, and those who did not take a stand either for or against independence. The last group included pacifists like the Moravians and Quakers, who were neutral because of their deeply held religious objections to war. Each group had women who served and suffered. Connor Dowd was born in Ireland around 1716. While a boy, he learned from his family how to bleach the linen cloth that people wove in their homes and then sold to the ‘linen bleachers.’ Coming to America in 1751, he lived for a time in Wilmington, North Carolina, where he was soon employed by a Wilmington merchant. He sold his employer’s goods in the upper Cape Fear River valley and got to know the area and its people. Dowd soon met and married a widow Nancy Roberts Overton Shields who owned five hundred acres of farmland, and he began by growing crops and raising livestock. In addition to his grain crops and animals, Dowd had peach and apple orchards and a distillery for making whiskey from grain. He used the fast-moving waters of Deep River to run four mills. There was a sawmill for cutting timber into lumber, a gristmill to grind grains into corn meal and flour and a bolting mill for cleaning and sifting the flour. At his bark mill, oak bark was ground to extract its tannin that was then used to make cowhide into leather in his tannery. Dowd owned eleven slaves, and one of them supervised the bark mill and the entire tanning operation. Wagons hauled Dowd’s products from his farming and manufacturing center to the town of Cross Creek (Fayetteville), where his products were sold and the wagons were reloaded with goods to sell in his store. These goods included some items imported from Britain by the Wilmington merchant he once worked for. His store and mills were on the south side of the Deep River near present-day Carbonton, and for a time the only ones between Hillsborough and Cross Creek, North Carolina. His nearby ferry, tavern and other businesses attracted many travelers, and Connor Dowd’s place became an important stop on the main road and for years that section of the road was known as Connor Dowd Road. After his first wife died, he married a second time in 1774. 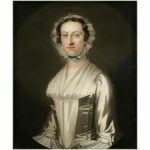 His new wife Mary Owen Dowd helped him in business by doing something he could not do because he could not read and write – she kept his business records. Dowd bought land from the colonial government and from other people. By 1776, he owned several thousand acres scattered through today’s Chatham, Moore and Lee counties. His main operation was on the Deep River, and he supplied cornmeal and flour to Patriots and Loyalists during the American Revolution. Dowd was involved in North Carolina’s first Revolutionary War battle, but not directly in the fighting. In January 1776, Royal Governor Josiah Martin asked the people to show their support for him and King George’s government by coming to Brunswick (south of Wilmington on the Cape Fear River) to welcome the British that were expected to land there. Connor and Mary Dowd were members of the Haw River Separatist Baptist Church. This strongly pacifist congregation had forbidden its members to “take up arms against lawful authority,” meaning the established government. Therefore his religious beliefs probably influenced Connor Dowd to oppose the Revolution. Dowd went out of his way to help the loyalist force that responded to Governor Martin’s call. He did not volunteer to fight, but gave supplies to General Donald MacDonald’s army: bolts of wool and linen, shoes and shoe leather, wagons, flour, venison, iron and 100 pounds of pistol powder. And he went into debt to buy beef and pork for the soldiers. The loyalist forces never reached Brunswick. 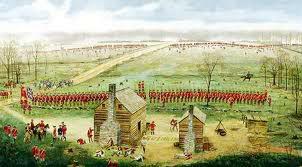 They were surprised by Patriot troops at the Battle of Moore’s Creek Bridge and soundly defeated. After the revolutionaries’ victory, Connor Dowd was jailed, along with many others. He was freed after paying a much higher bail than most of the other loyalists had to pay. In the months and years after this battle, many loyalists in North Carolina gave in to revolutionary pressure and renounced their loyalty to the king. They took the required oath to the state and many even fought for independence. Some of them remained revolutionaries, even after British forces came to the state in 1781. Connor Dowd, however, never transferred his loyalty from the king to the state. British General Charles Cornwallis, who was on his way to North Carolina. Although it did not fight with Cornwallis, Dowd’s army did fight the Patriots. Dowd organized a cavalry unit of forty horses that he placed under his son Owen’s command. After only a few weeks of fighting, Owen Dowd was killed September 13, 1781, at Lindley’s Mill on Cane Creek in Alamance County. Local lore tells of Owen’s men bringing his “shattered body” home. Connor Dowd fled to the British forces at Wilmington, then to England in August 1782, leaving his wife and ten children behind on their property in Chatham County. The revolutionaries then seized and sold the Dowd property in Cumberland County, and within three months, the Dowd property in Chatham County as well. For the rest of her life, Mary Dowd saw the steady loss of all the land her husband had owned before the Revolution to satisfy the debts Connor Dowd had made in support of the Loyalist side, paricularly the debt he had incurred to buy beef and pork for the Loyalist forces before the Battle of Moore’s Creek Bridge. The North Carolina General Assembly passed a special law that permitted Mary Dowd to bring legal action in her own name to collect some of the money owed to her husband. At the same time, she was actively trying to arrange for her husband’s return. Connor Dowd returned in 1783, and made a number of trips across the ocean in the years following. The Treaty of Paris, signed in September 1783, officially brought an end to the war. The fourth, fifth and sixth articles of the peace treaty related directly to the loyalists who remained in the United States. The fifth article instructed Congress to “earnestly recommend” to the state legislatures to return any confiscated property, or the sum gained through the sale of such property of “real British subjects,” to the original owners. The sixth article halted any future confiscations or prosecutions against individuals for “the part he or they may have taken in the present War.” Unfortunately for the loyalists, Congress only had recommendatory authority over the states; therefore, North Carolina as well as the other states retained a great deal of latitude regarding the implementation of the treaty’s provisions. The North Carolina General Assembly of 1784 met in Hillsborough from April to June and then again in New Bern from October to November. The conservative element in the Assembly’s House of Commons proposed a bill at the end of the second session to void and repeal all state laws that appeared inconsistent with the Treaty of Paris. The bill floundered as some members of the assembly took issue with the property rights granted to loyalists. Interestingly, that same assembly passed an act enabling Mary Dowd to retain the use of her property. Of course, one of the privileges of ownership was that creditors could now sue her for her husband’s debts. Over the next sixteen years she was gradually forced to sell almost all of her property.